Only 2 4MATIC® Coupe models left in stock! A 385-hp 3.0L V 6 biturbo engine features numerous AMG enhancements for instant response. Increased turbo boost puts its 384 lb-ft of torque on tap at just 2,500 rpm, for a 0-60 time of just 4.5 seconds. Rapid-multispark ignition and high-pressure Direct Injection act with millisecond speed and molecular precision. Beneath its red engine cover, a lightweight diecast-alloy block, variable valve timing and reduced friction further raise efficiency and performance. The cylinder walls of the diecast aluminum block are created in an AMG-patented process that benefits performance, efficiency and durability. NANOSLIDE(R) technology uses a twin-wire arc spray to coat the bores with an ultrahard layer that's honed to an ultralow-friction, mirror-like finish. 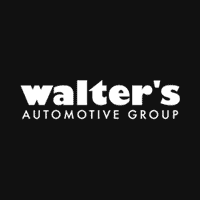 Without the added weight of cylinder liners, the bores and lightweight forged pistons are matched with even greater dimensional precision, for more immediate and consistent power over a longer service life. 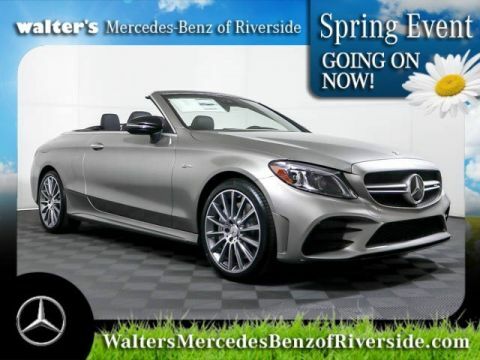 Specific AMG programming of the 9-speed automatic transmission delivers quicker gear changes in the paddle-shifted Manual mode. In the Comfort, Sport and Sport+ modes of AMG DYNAMIC SELECT, the wide range of closely spaced ratios offers an ideal blend of smooth, efficient performance in virtually every driving situation, from relaxed cruising to quick acceleration. Three overdrive ratios further enhance highway fuel efficiency. Aggressively resculpted to slice the wind and stand out in a crowd, the AMG C 43 Coupe is poised to grip the road and grab the attention of anyone who's passionate about performance and style. New LED headlamps flank its new AMG twin-crossblade grile. Muscular fender flares and sharp, flowing lines sweep into a fastback tail with strong shoulders, wraparound LED taillamps and an integrated spoiler. Frameless door glass is one of many sleek details. Offering both front- and rear-seat passengers sweeping skyward views, this fully functional glass sunroof features a large panel that can either tilt up for ventilation or slide back for an open-air feeling. An interior power sunshade lets you adjust the amount of sunlight entering the cabin. 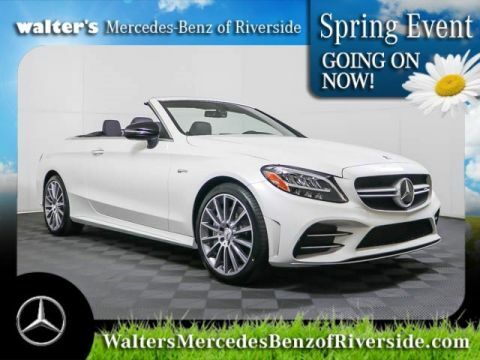 Aggressive sculpting of its deep front air dam, flared side sills and rear valence draw the eye to the 18-inch or optional 19-inch AMG(R) wheels that are themselves drawn to the road. A satin chrome splitter underscores the front apron, expertly guiding airflow toward the shapely side sills. At the rear, a deep valence with a black diffuser insert and a color-keyed lip spoiler manage the departing air and leave a lasting impression with other drivers. Radar-based technology can alert you if you're approaching a vehicle ahead, or even some stationary objects, at a speed and distance that suggest a collision is likely. As soon as you start to brake, it can automatically provide an appropriate level of braking to help prevent a collision or reduce its severity. If you fail to respond, it can also initiate braking automatically at a range of driving speeds. The system can also detect and react to crossing pedestrians at typical city speeds. The first system of its kind, ATTENTION ASSIST(R) continuously monitors up to 70 parameters of driving behavior and can automatically alert the driver with both visual and audible warnings if it detects signs of drowsiness on long trips. With enhanced sensitivity, the system can also help detect drivers who begin their trip drowsy and offer more useful information to drivers along their journey via a dashboard display. 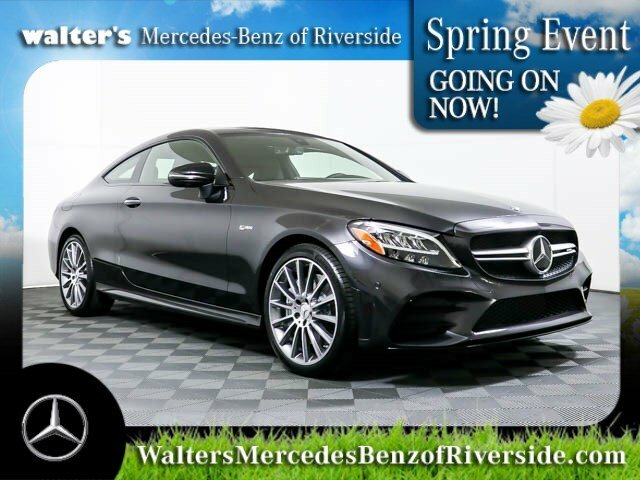 Meet your new 2019 Mercedes-Benz AMG C 43 Coupe in person today at Walter's Mercedes-Benz of Riverside located at 3213 Adams St. Riverside, CA 92504.